There is now a House version of the federal CARERS Act, California regulatory squabbles continue, CBD cannabis oil bills move in the darndest places, and more. On Monday, a House version of the federal medical marijuana bill was filed. Reps. Steve Cohen (D-TN) and Don Young (D-AK) introduced the House version of the CARERS Act filed two weeks ago in the Senate. Both bills would allow states to have medical marijuana without federal interference, reschedule marijuana to Schedule II, allow VA doctors to recommend medical marijuana, allow interstate commerce in CBD cannabis oils, and ease banking problems for the industry. The House version is HR 1538. Last Tuesday, the San Luis Obispo city council approved an odor ordinance aimed at medical marijuana cultivators. After complaints from residents, the council amended the ordinance to apply to any offensive and persistent odors. The ordinance includes provisions specifying when enforcement actions could be taken. One more council vote is necessary for the measure to become law. Last Friday, several Clearlake residents filed a lawsuit against the ban on cultivation in the city. The lawsuit was filed in Lake County Superior Court and says the recently adopted ban violates both the letter and the spirit of Proposition 215. On Tuesday, Santa Cruz County supervisors voted to ban commercial medical marijuana production. Supervisors voted 3-2 to allow only limited personal grows. The county says there are 145 illegal pot grows there, up from 80 last fall. The new rules allow for only a 100-square foot garden per parcel. The ban is set to go into effect on May 30, after a second reading. Last Friday, Upland patient advocates sought a court order to force a special election on dispensaries this year. The California Cannabis Coalition charges that the city council violated election laws when it decided to delay placing a dispensary ballot initiative on the ballot until the 2016 general election. They will get a hearing on the motion in May. On Tuesday, the Senate passed a CBD cannabis oil bill. The state Senate approved House Bill 1, which would allow the use of the oil for eight specified medical conditions. The bill has already passed the House, but because it was amended in the Senate, it has to go back for a final House vote. That was expected to happen today. Last Friday, two CBD cannabis oil bills were headed for Senate floor votes. A bill that would allow for the use of cannabis oil to treat severe forms of epilepsy passed the Senate State Affairs Committee and now heads for a Senate floor vote. The measure is Senate Bill 1106. Another cannabis oil bill that would only allow an affirmative defense, Senate Bill 1146, also awaits a Senate floor vote. On Tuesday, the Senate approved one of those bills. The state Senate voted 22-12 to approve Senate Bill 1146, which would allow the use of the oil for children with severe forms of epilepsy. The bill had originally only offered an affirmative defense to prosecution, but was amended in the Senate to go further. The bill now heads to the House. 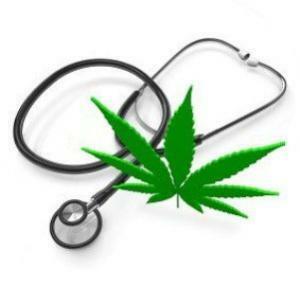 On Monday, a medical marijuana bill was pre-filed. State Rep. Dalton Honore (D-Baton Rouge) has pre-filed a bill that would allow for the use of marijuana for specified medical conditions, including seizure disorders, glaucoma, cancer, and the side effects of cancer treatments. The bill is House Bill 6. Last year, similar legislation failed to get out of committee in the face of opposition from law enforcement. The session begins April 13. Last Thursday, North Carolinians rallied for a new medical marijuana bill in Raleigh. More than a hundred people rallied at the state capitol today in support of House Bill 317, which would allow for medical marijuana use by terminally ill patients. Rep. Kelly Alexander formally introduced it today. Last Thursday, a Republican state senator said he would file a medical marijuana billl. State Sen. Steve Dickerson (R-Nashville) said today he is working on a bill that would allow for medical marijuana. He said he expected to have final details by Monday. A Democratic bill in the House has yet to make it out of committee. Last Saturday, medical marijuana advocates rallied in Johnson City. Hundreds of people showed up for the Smoky Mountain Medical Marijuana Rights Rally and march in Johnson City Saturday. The rally comes as the state legislature considers a number of medical marijuana-related bills.